Good news for fans of the British hard rock band Turbowolf. They are currently putting the finishing touches on their new album ‘Tree of Life’ which is scheduled to be released on 9th March 2018 via So Recordings. 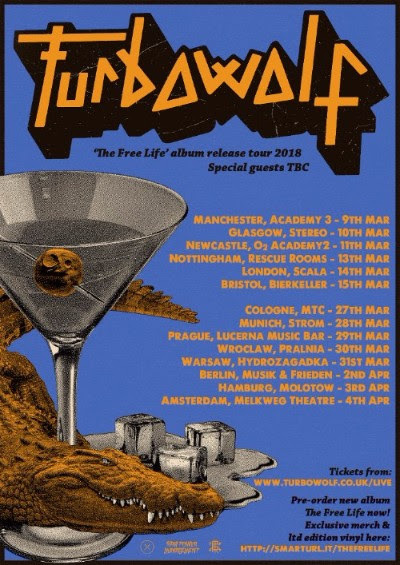 This entry was posted on 2nd January 2018 at 4:58 pm and is filed under Misc., News, Rock with tags European tour, Turbowolf, UK Tour. You can follow any responses to this entry through the RSS 2.0 feed. You can leave a response, or trackback from your own site.